Where: Carnegie Reserve, Kingston Ave, Royal Park. “Believe and Live the Dream” these will be the words echoing through the Western strikers’ change rooms this week, as they prepare to take on MetrosStars at Carnegie Reserve in the Quarter Final of the Westfield FFA Cup South Australia Qualifying Competition. The Western suburb battlers come up against a MetroStars side that after a slow and disarrayed start to the season, have started to find some much needed form and will present a real challenge for the State league side. 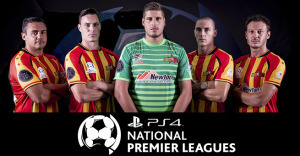 Strikers have been hampered for the past month by injuries and will welcome back their captain Michele Lastella for what will be his first game in the starting eleven for some time. Lastella will be a good support for talented midfielders Jordan Spadavecchia and Michael Russo. The Metro defense led by Michael D’Aloisio will need to keep a close eye on Adrian D'Alfonso. The attacking midfielder has been turned into a central striker by coach Brenton Hiern this season with great results. D’Alfonso has displayed good goal sense in recent games, having scored eight goals in eleven games this season. 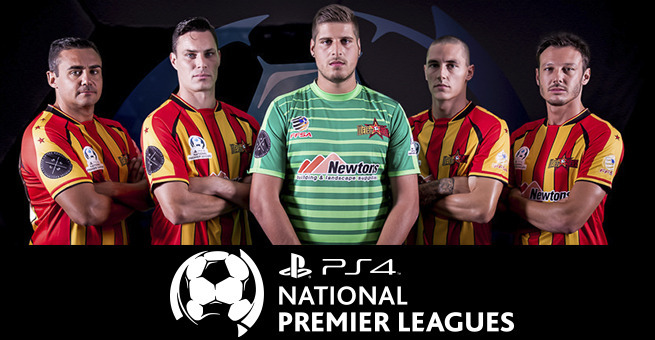 On the other side of the ledger MetroStars’ strikers Doni Pollock and Jonathan Negus will have enough supply of the ball from their talented midfielders to pose a big headache for the Strikers defense. Metro boast a host of talented players across the park. The influence of the hard working Fabian Barbiero in the midfield will be the biggest challenge for Strikers’ coach Hiern to curb, if their WFFA Cup fairy-tail is to continue. Barbiero, Bailey Truscott, and Anthony Sologna if allowed to dominate proceedings could make it a very demoralising day for the hosts. Newly appointed Metro coach Robbie Saraceno will be expecting his side to continue on with their recent winning form. Michael D’Aloisio said during the week the coach had been working them hard on the track since taking the reins, and the results for their hard work are beginning to reap results. “We have been working really hard at training, and we have taken our fitness to another level,” D’Aloisio said. “Apart from the aberration against Adelaide City, our other performances have been solid and we all feel we have turned the corner and looking forward to the back half of the season. With any David v Goliath encounter the side with the greatest will and desire to win will eventually get over the line regardless of their strength. This fairy-tail won’t be played out like the normal “Disney” script, expect a few twists and a turns before the final whistle of this contest.